I hope the week is going well for most? Me? I’m Great! This week I have one question… How do you entertain those guests with a limited attention span?! Well there are a few options out there, some of which we’ve planned as part of a Matthew Oliver Wedding and others I’ve just happened across and thought… ‘LOVE IT!’. Welly Tossing – I came across this one last year, whilst as a guest at a friends wedding. It was a stunning day at the Bride’s family farm and plonked on wooden stakes, alongside the wonderfully befitting marquee, were a collection of wellies… Now I don’t pretend to be an overly high achiever in the sporting realm, but I won’t deny that I have a competitive streak (who doesn’t!?! ), either way the game was on. Stepping up to my welly of choice, I lobbed it with all the might I could muster… and you’ll never guess what! I only bloody well threw it the furthest! Yes, there may have been a particularly strong gust at that very moment (if I’m being honest! ), but it doesn’t negate the fact that this quintessentially British activity (however bizarre) served as a highlight for me, on what was a beautifully thought out day. 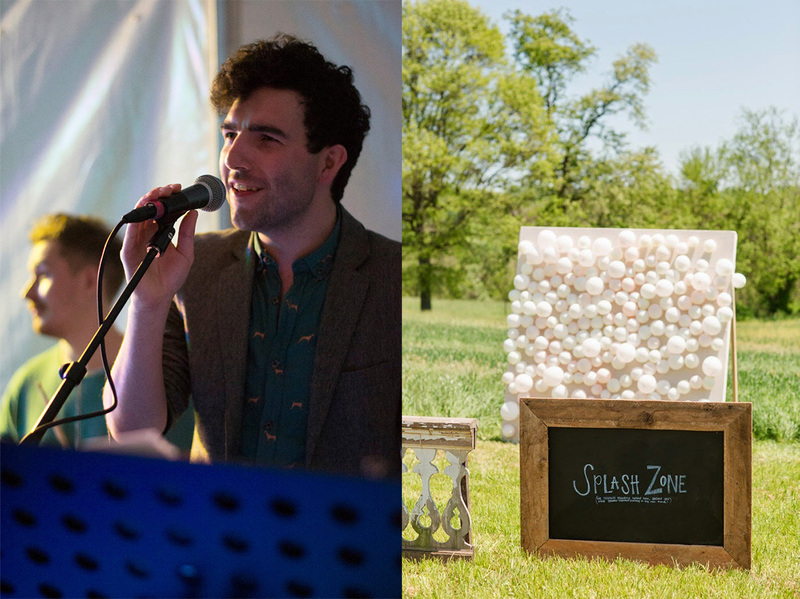 Zorbing – Last weekend Matthew Oliver Weddings took on the delightful task of a Chinese meets English Garden themed wedding, at the fantastic Ston Easton Park (photos coming your way soon!). As part of the day the couple wanted zorbing, and zorbing is what they got! Regrettably I was unable to attend the actual day and so missed out on the zorbing craziness (sad times), however I am told it went down a storm! If you want to know more on this one, you’re going to have to give Matthew a shout. Table Icebreakers – If you’re looking for something a little more personal and low-key, table icebreakers could be the way to go. It’s also a great excuse to get some more wedding stationery into the day! 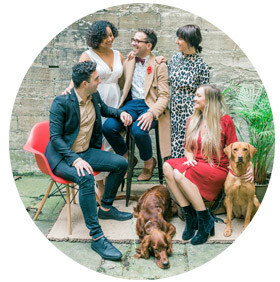 The idea is simple, questions on the table for your guests to ask each other about the wedding couple, it hopefully prompts some delightful stories, allowing your guests to get to know each other and learn each other’s connection to the special couple. Hot Air Balloon – This is a marvellous idea and brilliant if the weather is just right and your venue has the space for it. 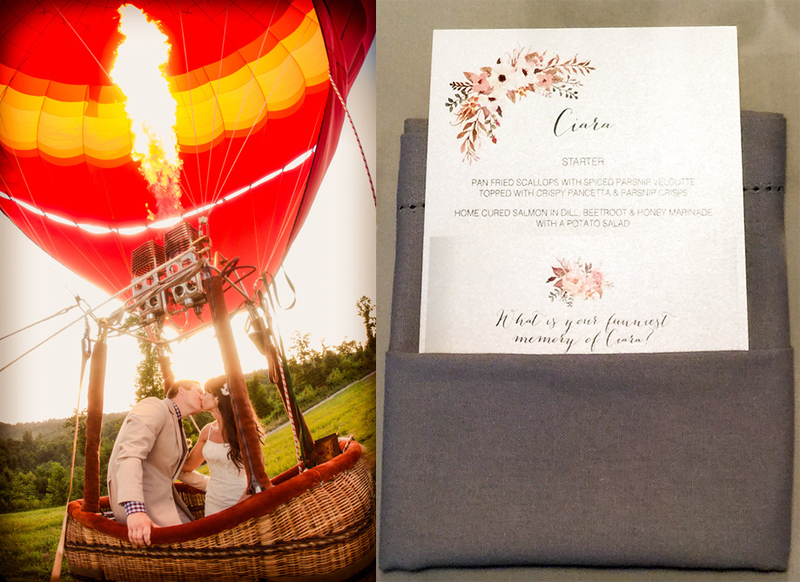 It truly is a site to see, having a hot air balloon moored at your reception drinks, with guests having the ability to go up in the balloon, whilst tethered, seeing the wedding from above and the surrounding area. I will add a warning to this one however, we planned for this to be part of a Matthew Oliver Wedding last year, however due to high winds it wasn’t possible to have on the day (sad times all round). So if you were planning on this option (and you should definitely should!) maybe keep it as a surprise for your guests, just in case! 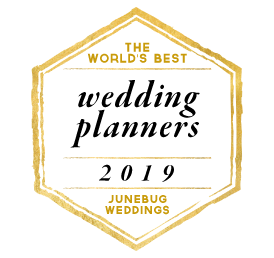 Bandeoke – I must confess I love this idea… and I say ‘idea’ because I have never done on been to a wedding which has had bandeoke (if you’re not sure what it is, Google it!). That is until this year, next month one of my close friends is having bandeoke at her wedding and I can-not-wait! As Matthew (and probably our neighbours) will attest… I love singing and I do it constantly (that’s me in the pic below)! So to sing in front of a live band, under the premise of karaoke (so low expectations) is ideal. Additional bonus is it’s a two for one; wedding band and guest activity/participation. I’ll let you know how I get on next month! Balloon Paint wall – Stumbling across this, whilst doing a tiny amount of research for this article, it immediately jumped out as a truly unique idea. The idea being you fill different balloons with different coloured paint, affix the balloons to a large canvas/board, get your guests to lob darts at the balloons, creating wonderful art! If you don’t get what I mean, see picture for a little more context! Obviously this can only really be set up in a controlled environment, where it doesn’t matter if things get a bit messy, but the statement of it will truly wow your guests and get them thinking ‘that’s a great idea!’. The bonus bit is you get a truly unique momentum of your wedding, created by the best people in your lives. Bouncy Castle – We all grew up wishing for a bouncy castle birthday or at the very least an invite to your friends birthday who had promised a bouncy castle; and for good reason… they’re awesome! Though as you grow older people start to imply that the notion of an adult wanting a bouncy castle is somehow immature… those people are wrong. 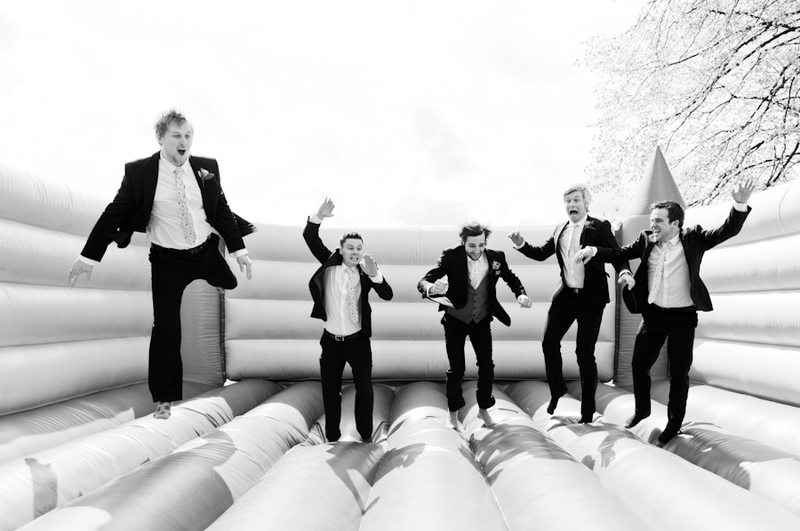 It is completely acceptable to want a bouncy castle and what better excuse than on your wedding day! All you need is a relatively flat area and friends/family with a willingness to let out their inner child, simple! We’ve got a French wedding next month where they are doing just that, I can’t wait to see the pictures! So there you go, some ideas I particularly love on what activities you can add to your wedding day, to make it that extra bit more enjoyable for you and all attending. Sorry for rambling on some points there, but hey-ho! I would love to know of any unusual activities you’ve had or are having for your wedding, so feel free to send them over (bertie@matthewoliverweddings.com)! In the meantime I will wish you all a happy end of week! « Don’t forget to RSVP!